AMD CEO Lisa Su confirmed yesterday that the company will be taping out 7nm products later this year. Su was at the 45th annual J.P. Morgan Global Technology, Media and Telecom Conference to provide additional detail into its long-term roadmap that it had disclosed earlier last week at its Financial Analyst Day. 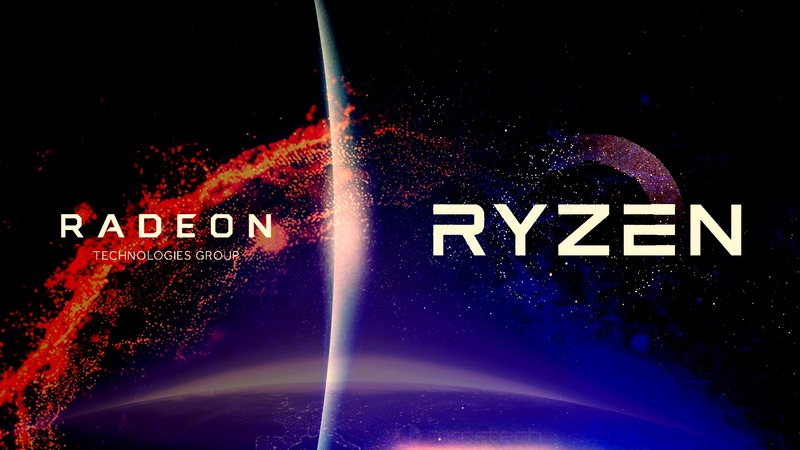 AMD had revealed at its FAD event last week that it will be rolling out two additional generations over the next three years to succeed its Zen CPU architecture and Vega graphics architecture. 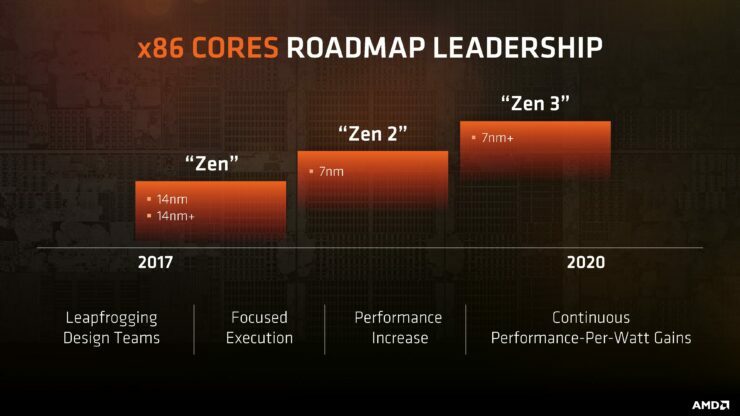 Succeeding the 14nm Zen x86 CPU microarchitecture will be Zen 2 and Zen 3 7nm/7nm+ designs. Succeeding the Vega graphics architecture will be Navi and a yet unnamed “next gen” graphics architecture based on 7nm and 7nm+ technology. The one thing that Mark Papermaster said that I think was pretty compelling was he now has a system in place where by which at any given time that you’re launching a platform, and I think this is across you’re compute platforms as well as across your datacenter platforms, that you already have teams working on current plus one and current plus two. Is that correct? That is correct. For our core IP, the core CPU and core graphics IP, you really need to do that to stay on the leading edge. And that is different, we really re-thought our entire R&D philosophy to be much more predictable and have multiple generations of improvement. And I think what gives us a lot of confidence or excitement is that now that we know what Zen looks like in hardware we know exactly what we want to improve on Zen 2 and Zen 3 and so the team has good a grounding of what to do next. At FAD last week AMD CTO Mark Papermaster revealed that work is well underway on Zen 2 & Zen 3 on the CPU side as well as Navi and it successor on the graphics side. According to the latest comments from Su the first of those new designs will tape out this year at which point post silicon work can start to bring the products up to speed and move towards product ramp and launch. GlobalFoundries, AMD’s 7nm foundry partner, announced earlier this year that it will begin 7nm risk production in the second half of 2018. 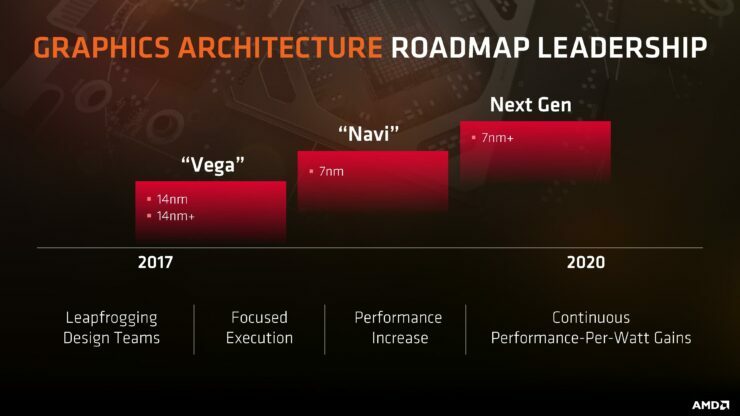 This puts AMD’s 7nm Zen 2 and Navi based product launch time-frames at some time in 2019. At which point Intel is only expected to roll out its second generation 10nm parts. And while GlobalFoundries’ 7nm and Intel’s 10nm aren’t directly comparable, it still goes to show how much the foundry gap with Intel and the rest of the industry has closed.